The first trailer for "The Inherited Repression", the fifth studio album from Australian technical death metallers PSYCROPTIC, can be seen below. The CD will be released on February 7 in North America and February 10 in Europe via Nuclear Blast Records. New Orleans' GOATWHORE has set "Blood For The Master" as the title of its new album, due on February 14 in North America via Metal Blade Records. The follow-up to 2009's "Carving Out The Eyes Of God" was recorded at Mana Recording Studios in St. Petersburg, Florida with producer with Erik Rutan. "Dead And Dying", a brand new song from Finnish dark metallers SOULFALLEN, can be streamed below. The track comes off the band's third album, "The Promise Of Hell", which will be released on January 18, 2012 via the band's own label, Grave New Music, with distribution from Inverse Records/Supersounds (Finland), Plastic Head(U.K.), Bertus (Holland), Sound Pollution (Sweden), Disk Union (Japan), The End Records (USA), Rebeat (Austria), Non Stop (Switzerland), andLSP/MetalZone (Belgium). The cover artwork was created by Maija Rankaand. David Gold, a founding member of the Ontario, Canada-based black and doom metal band WOODS OF YPRES, was killed last night (Thursday, December 22) in an accident near Barrie, Ontario. He was 31 years old. A memorial service is tentatively scheduled to be held in Gold's hometown of Sault Ste. Marie on December 28. Swedish black metallers NAGLFAR have completed work on their sixth album, "Téras", for a March 2012 release via Century Media Records. The drum tracks on the CD were laid down by Dirk Verbeuren (SOILWORK). A brand new track, "Pale Horse", is available for streaming below. 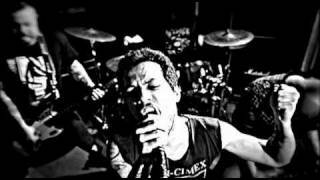 The new Noctem's video, the first extracted from the new album “Oblivion” is published. Hungarian old school necro black metal band MYSTAGOG's first full-length album entitled "...Of Old" is released via Neverheard Distro. 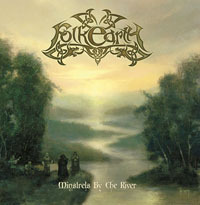 International folk viking metal project FOLKEARTH's second acoustic album "Minstrels By The River", released via Stygian Crypt Productions. 09. Сон Степана Разина (Казачья притча)/(«Stepan Razin’s Dream» (Traditional song). 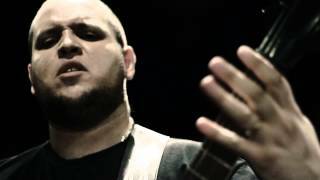 Mosfet published the teaser of the upcoming CD „Deathlike Thrash´n´Roll“. Swedish Thrash/Death Metal combo Bleeding Utopia have signed a deal with Wormholedeath/Aural Music Group for the release their debut album "Demons to some Gods to others". The album that includes 10 songs of pure sonic assault and was recorded, mixed and mastered in September 2011. The mixing and mastering part was taken care of by Jocke Skog at FAL Studio in Stockholm. The artwork for the album was made by Henrik Englund at H.E.W Designs. Dutch brutal death metallers SUPREME PAIN have announced the addition of drummer Eric De Windt to the group's ranks. According to the band, Eric"is a very experienced musician and was part of many bands, such asSEVERE TORTURE (vocalist), SINISTER (vocals on 'Aggressive Measures') and PROSTITUTE DISFIGUREMENT, INHUME andDESTROYER666 (drums). At the moment he is also drummer for the Dutch death metal band TEMPLE." Video footage of Eric De Windt rehearsing with SUPREME PAIN can be seen below. Brazilian/American thrashers SEPULTURA played the first show with new drummer Eloy Casagrande (GLÓRIA, ANDRÉ MATOS) this past Friday, November 25 in Lichtenfels, Germany. The group followed it up with a concert last night (Saturday, November 26) in Leeuwarden, Netherlands. Fan-filmed video footage of both gigs can be viewed below. THE 11TH HOUR — the doom metal project led by Ed Warby (drums, guitar, bass, vocals, programming; GOREFEST, DEMIURG, HAIL OF BULLETS) — will release its second album, "Lacrima Mortis", on January 27, 2012 via Napalm Records.